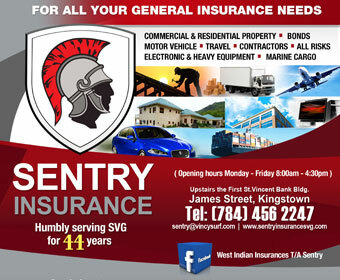 SVG has Japan’s support in Security Council seat bid? 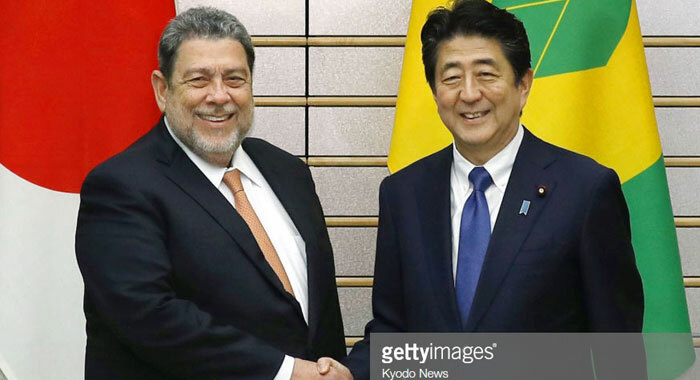 Prime Minister of St. Vincent and the Grenadines, Ralph Gonsalves, left, and his Japan counterpart, Shinzo Abe, held talk in August. It was not clear is SVG’s UN Security Council bid was among the topics they discussed. TOKYO — St. Vincent and the Grenadines may be able to count on the support of Japan in its bid to become a non-permanent member of the United Nation’s Security Council. 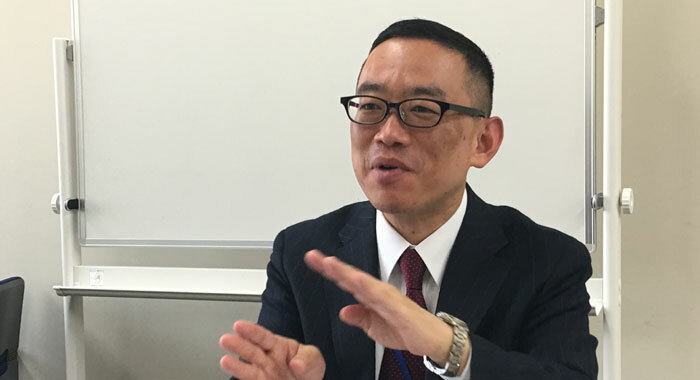 Daisuke Nakano, Tokyo’s director, Mexico, Central America and Caribbean Division, with the Ministry of Foreign Affairs, did not say so explicitly when he spoke to Caribbean journalists here on Monday, but his comments hinted as much. “I cannot say all that we are talking between governments,” he said when asked if Tokyo would support Kingstown’s bid. After those talks, Gonsalves called on Japan to establish a strategic relationship with the CARICOM. “I want to see Japan not just as having an ordinary relationship with CARICOM. I want them to see it is in their strategic interest to be very much involved in the CARICOM countries,” he told a news conference in Kingstown on his return. Gonsalves told reporters that during his bilateral discussions with Abe, “we identified a number of areas within the strategic fray which dovetail with Japan”. Kingstown is ramping up its bid for a non-permanent seat on the UN Security Council for the 2020-2021 period. Gonsalves has expressed confidence that his government would secure the number of votes needed to represent the Latin American and Caribbean Group. Nakano’s comments came during a discussion with two journalists from the Caribbean, who along with three of their Pacific Island counterparts, are in Japan, for this year’s Pacific-Caribbean Journalists Program. He noted that Japan wants to become a permanent member of the UN Security Council, joining the ranks of China, France, Russia, the United Kingdom, and the United States. Reform of the United Nation’s Security Council is a very important topic for Tokyo and Caribbean Community (CARICOM) capitals, Nakano said. The Japanese official said that as it related to the UN Security Council, CARICOM nations are “playing with rules that were decided before they became independent” states. He said Tokyo shares the concerns of CARICOM countries as Japan is an island state and is affected by many of the same issues that CARICOM nations face. On the issue of climate change, Nakano said that this year, Japan has been affected by torrential rains and unusually powerful typhoons (cyclones), similar to those that impacted the Caribbean last year. Asked what are the ways in which Japan and CARICOM nations are co-ordinating to realise reform of the UN Security Council, he said Japan, CARICOM and many other countries believe that text-based negotiations or talks is key. He said that while Japan, CARICOM nations and other countries in the world are in favour of opening these talks, not so many countries support such a move. Nakano said Tokyo does not believe that the structure decided 70 years ago can adequately deal with current realities. Any reform of the Security Council would require the agreement of at least two-thirds of UN member states in a vote in the General Assembly, and must be ratified by two thirds of Member States. God help the World if SVG takes that seat, what a disgusting proposal by the Japanese. They must need to get the SVG dirty UN vote for some reason in support of them, and they must really want to annoy the US. It’s all about support for whaling which the Japanese refuse to abolish because of mass public support for whale products, especially meat. SVG will support as much whaling as they can to help the Japanese cause in return for aid to SVG, which our empty country and people badly needs. Of course David, you are right to mention whaling, but they already have our support on that made weighed and paid. I think this is another matter. I doubt having SVG on the security council would be of little help to them in that matter. Japan and China dispute the eight uninhabited Senkaku Islands in the East China Sea. They are seeking wider sympathy to its Senkaku claim. Perhaps this is more of what it’s worth bribing SVG for. has anyone bothered to ask in parliament the cost of this seat to us, the poor people, of this blessed land? Bill, Economics is probably the furthest thing from their minds right now. Jolly Green, it is a Foreign Policy position, not an economic decision-making body. Ralph Gonsalves is actually good in Foreign Policy. He has only made a few mistakes in his years. He has made almost nothing but economic mistakes as PM of SVG and that has contributed to the high crime rate as well as other problems. C. Ben is probably right about the support for a whaling deal made behind closed doors. That is how it works between governments. Just look at the deal the USA made with the Ukrainian Nazis. The USA got them into power and the USA and Nato were supposed to get the Crimea. Too bad for them Putin had his own deal with the government of the Crimea…a moral agreement. Dear Duke Re Armament, of course its financial every single move he makes is. His foreign policy is very simple, if a country wants SVG government support they have to pay, in kind or money every time, no discounts, no free-bees. Japan needs support for their dispute with China over the eight uninhabited Senkaku Islands in the East China Sea. Remember also that the election to the UN is really a move to benefit Venezuela and their dirty war against their own people. Duke my boy, you have to look behind the fat mans screen to see the truth. Don’t worry it is rare to catch him with his trousers down, although it did happen in Cuba recently.